How did the cat-and-mouse band come about? How did traditional enemies overcome their differences and unite in harmony (in more ways than one)? 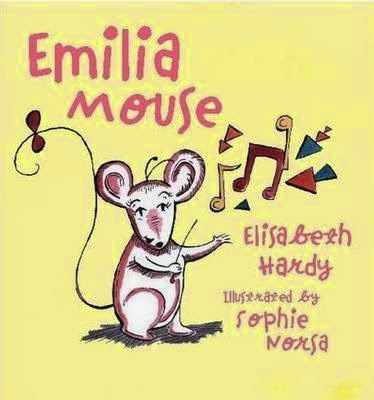 This is the story of Emilia Mouse who discovered a treasure trove of musical instruments hidden behind a wall of boxes. Blowing the trumpet, she awakens the cats that have a hidden sleeping spot in the wall of boxes. With a flying leap, they’re after Emilia. In desperation, she thrusts the trumpet at one of the cats who grabs it with his mouth -- and finds fabulous music coming out. The other cat wants to join in. Soon cats and mice are converging on them all, wanting to be part of it all. As they pick up the different instruments and start to play them, Emilia steps forward to lead the band. This is a warm and attractive hardcover story with eye-catching illustrations.